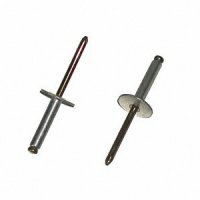 3/8 Inch x 3/8 Inch (5/16-18 Thread) Socket Head Shoulder Bolt / Screw. 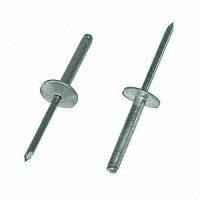 Shoulder bolts are measured with two different dimensions. 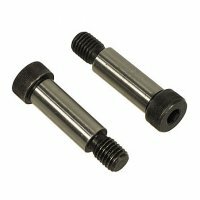 First, the smooth, rounded piece from the bottom of the head to the top of the threaded area is known as the shoulder and the diameter of this is the primary measurement of these bolts. The second measurement of the bolt is the length of the shoulder (again, measured from the bottom of the head to the top of the threaded section). 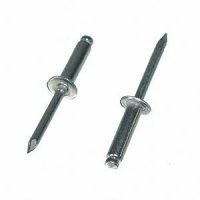 The hreaded sections of shoulder bolts are determined based upon the size of the shoulder. The diameter of the threaded area is always smaller in diameter than the diameter of the shoulder. The length of the threads are based on the measured diameter of the threaded area.